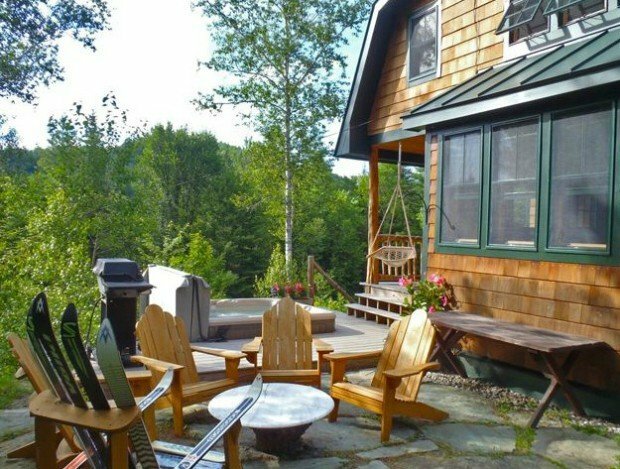 What if I told you there was a perfectly peaceful cabin located in a gorgeous setting, with a perfect outdoor fire pit, and it’s located in Mad River Valley in Warren, Vermont. Well, it’s a real place, and ‘real lovely’ at that, and it’s also really available for you to rent for vacation. 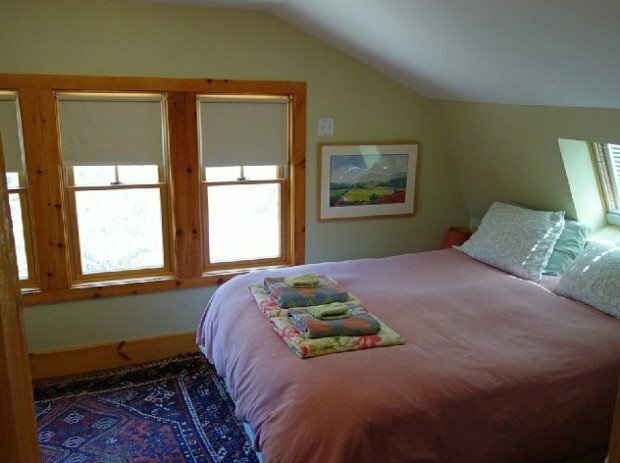 It has 2 cozy bedrooms and sleeps a total of 5, and it can be yours at around $185 per night. Check out these photos! 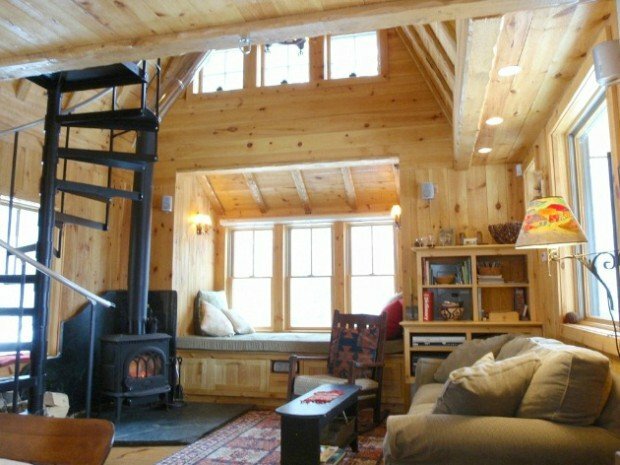 Located in the heart of the Green Mountains on ten acres. 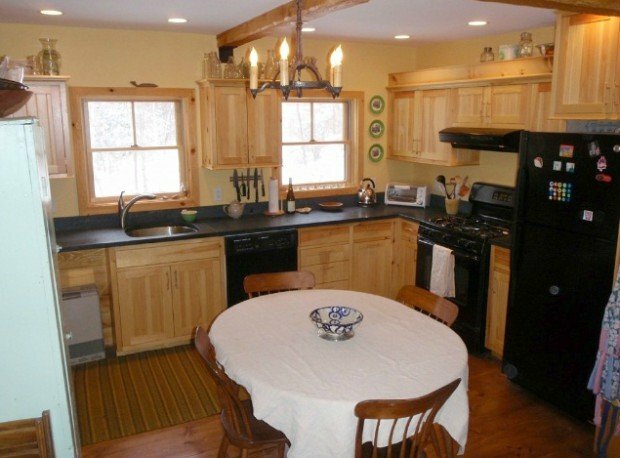 Mountain views and remote feel, but only 20 minutes from Warren/Waitsfield area or 10 minutes to Rochester. Ski or snowshoe out the back door or cozy up and watch movies on home theater with over 200 movies. 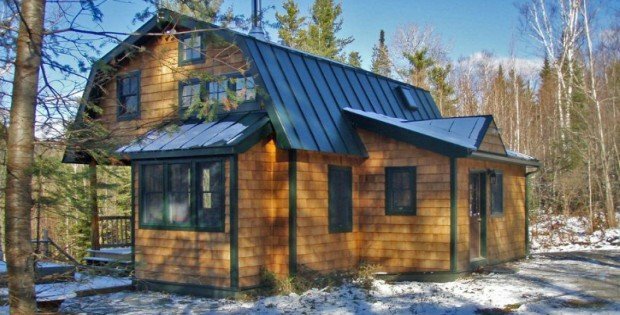 New, with all the modern amenities, but done in classic cabin style. 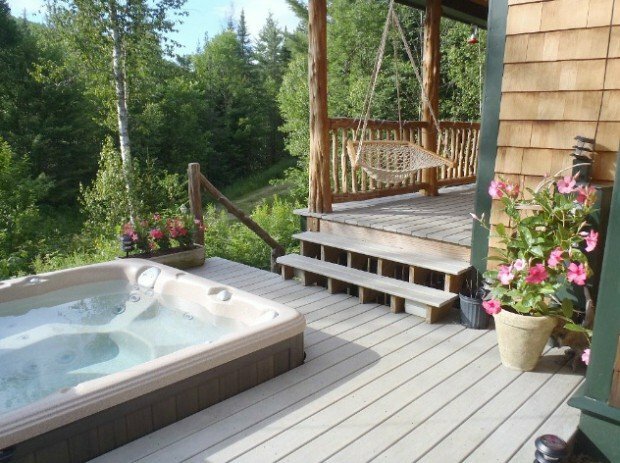 Enjoy walking/sledding on site or hiking the nearby Long Trail, then a relaxing hot tub under the stars. 15 mins to Middlebury Snow Bowl, 25 mins to Sugarbush and Mad River Glen or 45 to Killington. Great swimming, kayaking, etc. Perfect any season!